Another quick question. How many knives does it take to kill a man? 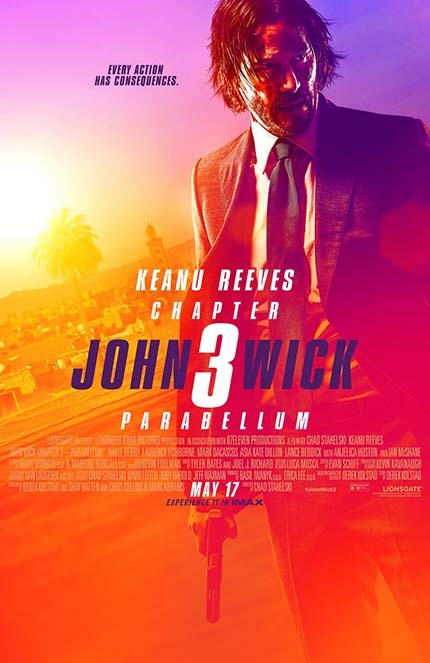 This new trailer for John Wick 3 Parabellum aims to answer that question. Dear sweet baby whomever. This new trailer for Parabellum is amazing. It expounds on everything that we have been teased with before now. It's just full of stars. Bright, shiney, guns blazing stars. And keep an eye out for The Raid's Yayan Ruhian in there. He's going to die, no doubt about that, but we just like that he's shown up to participate. Parabellum opens in cinemas on May 17th. Destroy All Monsters: Is JOHN WICK Neo's Video Game Afterlife?